In the United States, construction counts as one of the largest and most dangerous industries. Given the nature of this work, the laborers are at constant risk of sustaining bodily harm. Eye injuries, in particular, are a common concern. In fact, almost 1,000 eye injuries occur in the industrial setting each day across America, which totals to around $300 million a year after factoring in lost time, medical expenses and workers’ compensation. What’s worse is no amount of money can compensate to losing one’s sight. 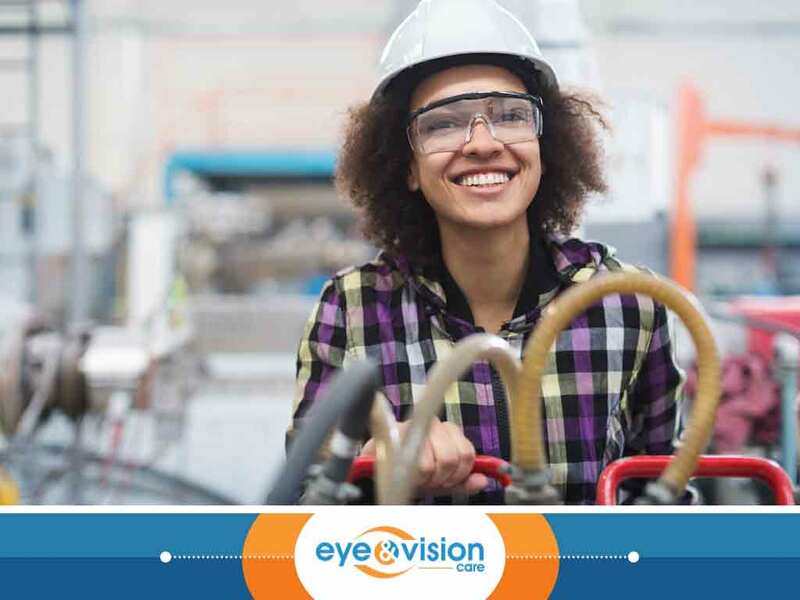 As March marks Workplace Eye Safety Month, Eye and Vision Care, your provider of quality contacts and other eye care services, talks about the importance of maintaining eye safety in the workplace. Construction and industrial workers are often exposed to eye hazard risks. Flying debris, in particular, is always a major concern. Sawing wood, hammering nails and other construction tasks generate flying debris that may lodge in the eyes, resulting in corneal scratches or worse, loss of vision. In addition, they are also at risk of having eye injuries because of high impact, chemical splash, infrared radiation and ultraviolet radiation. Another major reason eye injuries in construction sites are common is the wearing of the wrong kind of eye protection for the job–or the total lack thereof. It is a must for construction and industrial workers to use safety eyewear while on the job. Some may argue that they do wear protective goggles at work, but it may be the wrong kind. What most don’t realize is that using the incorrect safety eyewear is just as dangerous as not using one at all. We recommend undergoing a comprehensive eye exam so your eye care specialist can assess your eyes and suggest a specific eyewear that helps improve your vision while protecting your eyes while you’re working. Doing so can prevent up to 90% job-related eye accidents. Generally, safety eyewear that’s made of polycarbonate are a good choice. This material can tolerate high levels of pressure, ensuring your eyes are protected even under high impact. Those with side shields are also advisable as they can block particles from coming through the side. Most importantly, your eyewear should fit properly and comfortably. For premier eye care, turn to Eye and Vision Care. Apart from proper eye safety protection, we also provide orthokeratology, eye disease diagnosis and management, and more. Complete our form to request an appointment. We serve South Riding and nearby VA areas. To learn about eye protection in the office, watch out for part two of this special blog.